Isny - Neutrauchburg between the lake of konstanz and the castle Neuschanstein.You intend to visit the Allgaeu area for cycling, hiking, swimming or in Winter , you intend to do some serious langlaufing straight from Pension Tornau. Our newly renovated rooms invite you for stay over nights close to the tourist centre of Neutrauchburg with breakfast buffet for a healthy start of the day. 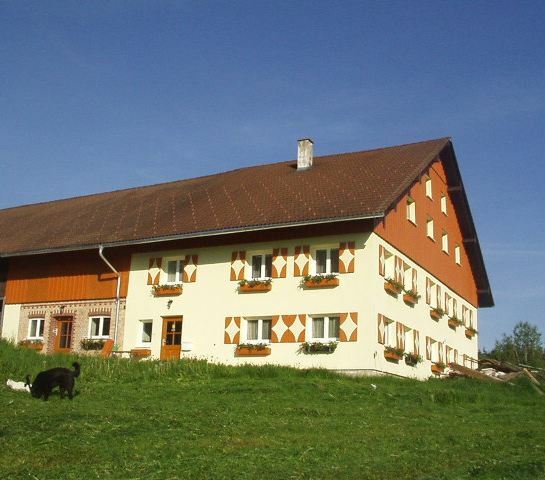 Pension Tornau with impressiv views of the Alps is located in an old farmhouse (some 500 years old). Its large and lush meadows invite children and those young at heart. A small area provids space for caravans. Would you like to know more about our rooms? Or would you like to know of suggestions, on how to spend a few venturesome days in the area? We would be delighted to welcome you at the Pension Tornau, we offer you a very beautiful and memorable stay. Interested? Cilck at "contact" for further informations.